As we grow old, our nights are frequently plagued by bouts of wakefulness, bathroom trips, and other nuisances as we lose our ability to generate the deep, restorative slumber we enjoyed in youth. But does that mean older people just need less sleep? Not according to University of California (UC) Berkeley researchers, who argue, in a review article published online on April 5, 2017 in Neuron, that the unmet sleep needs of the elderly elevate their risk of memory loss and a wide range of mental and physical disorders. 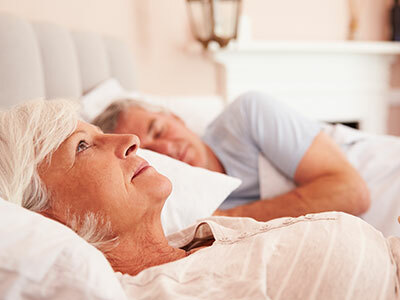 The open-access review is titled “Sleep and Human Aging.” "Nearly every disease killing us in later life has a causal link to lack of sleep," said the article's senior author, Matthew Walker, Ph.D., a UC Berkeley Professor of Psychology and Neuroscience. "We've done a good job of extending life span, but a poor job of extending our health span. We now see sleep, and improving sleep, as a new pathway for helping remedy that." Unlike more cosmetic markers of aging, such as wrinkles and gray hair, sleep deterioration has been linked to such conditions as Alzheimer's disease, heart disease, obesity, diabetes, and stroke, he said. Though older people are less likely than younger cohorts to notice and/or report mental fogginess and other symptoms of sleep deprivation, numerous brain studies reveal how poor sleep leave the older people cognitively worse off. Moreover, the shift from deep, consolidated sleep in youth to fitful, dissatisfying sleep can start as early as one's 30s, paving the way for sleep-related cognitive and physical ailments in middle age. And, while the pharmaceutical industry is raking in billions by catering to insomniacs, Dr. Walker warns that the pills designed to help us doze off are a poor substitute for the natural sleep cycles that the brain needs in order to function well. "Don't be fooled into thinking sedation is real sleep. It's not," he said. For their review of sleep research, Dr. Walker and fellow researchers Bryce Mander, Ph.D., and Joseph Winer cite studies, including some of their own, that show the aging brain has trouble generating the kind of slow brain waves that promote deep curative sleep, as well as the neurochemicals that help us switch stably from sleep to wakefulness. "The parts of the brain deteriorating earliest are the same regions that give us deep sleep," said article lead author Dr. Mander, a postdoctoral researcher in Dr. Walker's Sleep and Neuroimaging Laboratory at UC Berkeley. Another deficiency in later life is the inability to regulate neurochemicals that stabilize our sleep and help us transition from sleep to waking states. These neurochemicals include galanin, which promotes sleep, and orexin, which promotes wakefulness. A disruption to the sleep-wake rhythm commonly leaves older adults fatigued during the day but frustratingly restless at night, Dr. Mander said. Of course, not everyone is vulnerable to sleep changes in later life: "Just as some people age more successfully than others, some people sleep better than others as they get older, and that's another line of research we'll be exploring," Dr. Mander said. "The American College of Physicians has acknowledged that sleeping pills should not be the first-line kneejerk response to sleep problems," Dr, Walker said. "Sleeping pills sedate the brain, rather than help it sleep naturally. We must find better treatments for restoring healthy sleep in older adults, and that is now one of our dedicated research missions." "Previously, the conversation has focused on how many hours you need to sleep," Dr. Mander said. "However, you can sleep for a sufficient number of hours, but not obtain the right quality of sleep. We also need to appreciate the importance of sleep quality. "Indeed, we need both quantity and quality," Dr. Walker said.